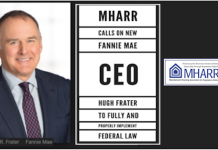 MHARR Response to Fannie Mae re: "MH Advantage." 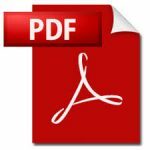 Thank you for your letter dated June 4, 2018 regarding the impending implementation of Fannie Mae’s “MH Advantage Initiative,” as part of its “Duty to Serve Underserved Markets” (DTS) Plan, as approved by the Federal Housing Finance Agency (FHFA). 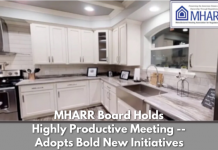 Naturally, as you request, we will provide these materials to any and all of our MHARR members that may wish to participate. That said, however, the MH Advantage Initiative, both in its underlying concept and premise, is in fundamental conflictwith the DTS mandate – and suffers from other fatal defects – which render it wholly unacceptable to MHARR. In relevant part, your June 4, 2018 letter states: “MH Advantage homes [will] have design features – developed after consultation with a range of manufacturers – more often associated with site-built homes.” (Emphasis added). 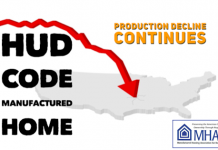 The purpose of DTS, however, is not to change the fundamental character of HUD-regulated manufactured housing to be more like site-built homes, or to funnel DTS-based financing to higher-cost homes that are not in the mainstream of affordable HUD Code manufactured housing production. 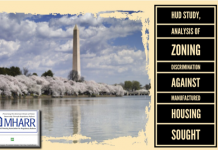 The DTS mandate, rather, as MHARR has noted on multiple occasions, was enacted by Congress as: (1) a congressional finding that Fannie Mae (and Freddie Mac) have not — and still do not — properly serve the manufactured housing market and manufactured housing consumers, despite existing Charter obligations to support homeownership opportunities for very low, low and moderate-income Americans, as well as (2) a remedy for that specific failure. Two fundamental corollaries necessarily derive from this mandate. First, DTS was not enacted by Congress as an exercise in meaningless tokenism. DTS, rather, was meant, designed, directed and intended by Congress to materially increaseFannie Mae’s participation in the HUD Code manufactured housing market. Second, and even more importantly, DTS was meant, designed, directed and intended by Congress to materially increase that participation with respect to existing, mainstream types of manufactured homes that are designed to – and do, in fact — provide inherently affordable non-subsidized homeownership for lower and moderate-income Americans, not a new type of significantly more costly HUD Code–site-built hybrid, as your description (i.e., citing “design features … more often associated with site built-homes”) implies. As the abject failure of the earlier Fannie Mae “MH Select” program should make (and should have made) absolutely clear (resulting, according to available information, in exactly zeroloans), the manufactured housing market is centered upon homes that are inherently affordablefor lower and moderate-income American families that – in many, if not most instances – would not otherwise be able to buy and own a home of their own, nothigher-income purchasers who, as you state, “might otherwise consider only site-built homes.” Indeed, the fact that it has taken ten years to get even this far, after decades of failing to serve the manufactured housing market (as determined by Congress), shows that Fannie Mae has no real intent to comply with DTS as established and designed by Congress. 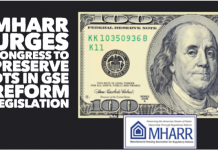 Instead, prejudice, discrimination and outright bias against those prospective homebuyers – who the GSEs were formed to serve and DTS was specifically enacted to serve and benefit – has been the hallmark of Fannie Mae (and Freddie Mac) policy for decades, leading to the DTS mandate in the first place and now, through the “MH Advantage Initiative,” to a brazen ploy by Fannie Mae to divert DTS away from mainstream, existing manufactured homes and manufactured housing consumers, toward more well-heeled borrowers of a sort that Fannie Mae would prefer to deal with, in defiance of Congress and the law. As such, this program does not constitute a legitimate implementation of DTS as much as a diversion, “bait and switch,” and illegitimate end-run around the consumers and policies that DTS was enacted in order to advance. The “MH Advantage” Initiative, therefore, is less about implementing DTS for its intended beneficiaries than avoiding the type of market-significant securitization and secondary market support for mainstream, affordable manufactured housing that DTS was designed and intended to produce. As such, it violates DTS and is wholly unacceptable to MHARR.